What a sad Leap Day. 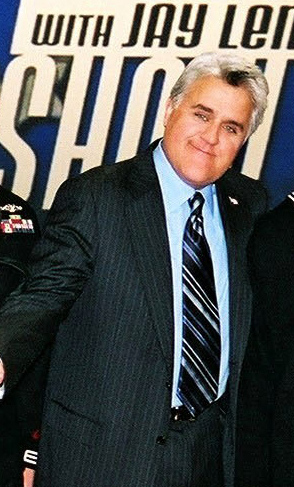 Davy Jones, former Monkees lead singer, died today of a heart attack at the age of 66. Jones leaves behind a wife and four daughters. Construction crews are putting the finishing touches on Pennsylvania’s 11th slot-machine casino, set to open next month at a convention center just outside Valley Forge National Historical Park. The sounds of drills, power lifts and hammers filled the air at the still-under-construction casino Tuesday, when the casino’s operators gave tours of the new facility. That cacophony, however, will soon give way to the cha-ching of coins and the whirr of slot machines when the casino fully opens for business on March 31 with 600 slots and 50 table games. The scheduled opening comes as competition for gamblers is growing in the suburban Philadelphia market, which already has the Parx Casino in Bensalem, SugarHouse Casino in Philadelphia and Harrah’s Chester Casino & Racetrack in Chester. By law, Pennsylvania could one day be home to 14 casinos. AES Corp. of Arlington, Va., is selling its Ironwood plant for $304 million, PPL said. The plant, which began operation in 2001, has a 705-megawatt capacity, or roughly enough to power 564,000 homes. 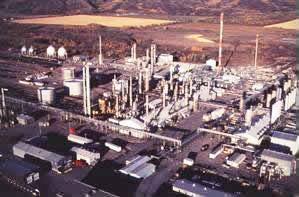 For the past four years, PPL EnergyPlus, the marketing and trading subsidiary of Allentown-based PPL, has supplied natural gas for the operation of the Ironwood plant in return for rights to its full output. 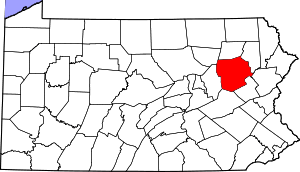 The Bethel and Tulpehocken township supervisors Monday night continued discussing forming a regional police force. The townships have been exploring a regional police force since 2010. Each township has its own part-time department and relies on state police coverage when no officers are on duty. The focus Monday was on details, but the supervisors decided to send out a letter, asking if any other municipalities were interested in regional policing. The inquiries will go to Upper Tulpehocken, Marion and Jefferson townships and Strausstown. Say goodbye to elevator rides and treks down a long green hallway Downtown Inc. The nonprofit is relocating its office to a former bank building just around the corner from Continental Square. The move means Downtown Inc will have a visible presence in the York City business district that it promotes. “It puts us right in front of our constituents,” said Director Sonia Huntzinger. Armstrong World Industries today reported a profitable fourth quarter and a ten-fold increase in profits for the full year. Helping the results were sharply lower restructuring charges, the absence of asset-impairment charges and lower selling, general and administrative expenses. The $100 million mineral-fiber ceiling plant is expected to begin operations in 2015, said Armstrong, although the company did not name the city where the plant will be located. 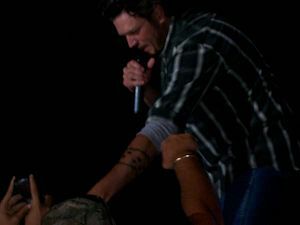 Blake Shelton To Headline Allentown Fair Grandstand Shows! The Country Music Association’s reigning male vocalist of the year for the past two years, and a judge on the hit TV singing competition show “The Voice,” will headline Allentown Fair’s grandstand, it was just announced. Blake Shelton, whose latest album “Red River Blue,” released in July, hit No. 1 and went gold – meaning all six of his studio albums have hit Top 7 – will play the fairgrounds Aug. 29. Editor’s note: Now this is a well thought out street tree philosophy. Imagine the idea that trees have a “life-cycle” and need to be replaced at a certain point. Wyomissing also employs two certified arborists to maintain their trees! 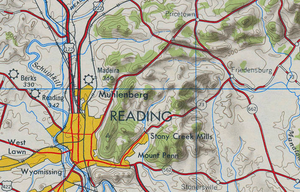 Driving through Wyomissing, one immediately notices the tall, sturdy trees that line the streets, providing shade and suburban character. But Jim Babb, borough public works and property manager, wants to make it clear that some of these octogenarian red oak trees are nearing the end of their long lives. Soon, they will have to be replaced by baby red oaks that will take decades to reach the height attained by the current trees. Editor’s note: 90 days into a new job and he scores! Color me impressed! 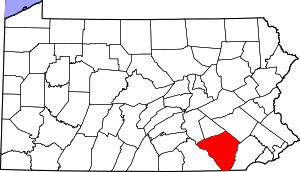 POTTSTOWN, Pa. – When your job is to try to attract businesses to a particular place, having a sense of place is pretty important. So it´s probably a good thing that Steve Bamford has a boatload of real estate experience to call upon in his role as executive director of the Pottstown Area Industrial Development, also known as PAID Inc.
More than two years ago, the Urban Land Institute recommended, among other things, that economic development be taken out of the hands of the politicians and put into the hands of a professional staff. The result was a re-imagining of the largely moribund PAID organization into an active economic development arm with a responsibility sharing agreement between the borough, the school district and the Montgomery Redevelopment Authority. The pollen counter on the roof of Allegheny General Hospital detected tree pollen in the air Thursday, the first time it’s been recorded there in February. That’s the harbinger of an early season for spring allergy sufferers and the result of a warmer-than-normal winter, said AGH allergist David Skoner. 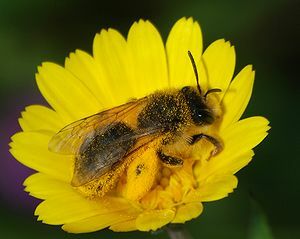 “Moderate counts of tree [pollen] already!!! Wow!,” Dr. Skoner, director of AGH’s Division of Allergies, Asthma and Immunology, wrote in an email after the pollen count was measured by division research associate Asha Patel. Tree pollen counts usually start in early April, peak in late April and early May and disappear by Memorial Day. Adam Brock, 27, was announced Thursday night as one of the 24 finalists in the venerable Fox talent competition. Live shows kickoff next week and viewers will have the chance to vote for their favorites, ultimately naming the 11th American Idol. For Mr. Brock, who graduated from Trinity High School and Messiah College in Harrisburg, it had to have been a tough week. The latest selection process was completed last month but the bluesman, who calls himself “White Chocolate,” was forbidden to reveal the results. Visitors to Pittsburgh International Airport can be forgiven for thinking, at certain times, that they wandered into an aviation ghost town. 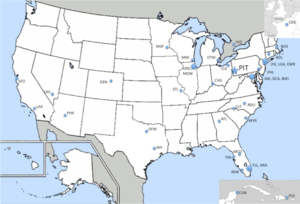 Where once US Airways alone operated more than 500 daily flights into Pittsburgh, the airport is now left with an average of 139 non-stops a day for all airlines. There’s no question the airport needs more flights and the people who take them — and that makes the news that PeoplExpress is reviving an old brand and is eying a presence in Pittsburgh especially encouraging. As Post-Gazette staff writer Mark Belko wrote last week, the airline’s plan is to concentrate on routes that have been largely abandoned by other airlines — such as West Palm Beach and Providence, R.I.
Editor’s note: Mr. Fitzgerald replaces Don Onorato who unsuccessfully ran for Governor of Pennsylvania against Tom Corbett. has spent the early days of his administration beating the bushes trying to bring more flights to Pittsburgh International Airport. On Friday, his hard work paid some early dividends. Mr. Fitzgerald announced that Frontier Airlines will restart nonstop service to Milwaukee, with two flights a day beginning Thursday, May 17. Frontier will fly into its hub at Milwaukee General Mitchell International Airport. The decision comes less than two months after Frontier ended the flights, leaving Pittsburgh without nonstop service to the Wisconsin market. 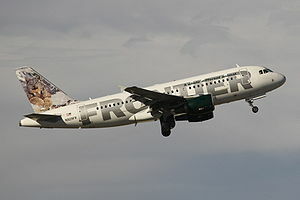 The new flights can be booked at www.frontierairlines.com. Milwaukee was one of the cities Mr. Fitzgerald — and others in the region — targeted for nonstop service after he took office in January. He has vowed to work to bring more service to Pittsburgh International, which has lost hundreds of flights over the last decade as a result of US Airways cutbacks. Editor’s note: More bad news for Sears! NEW YORK (AP) — Sears said Thursday that it’s unloading some of its profit-busting stores, but the retailer fell short of revealing how it plans to woo shoppers back into its remaining ones. Investors have long speculated that the troubled retailer could sell off its massive real estate holdings to generate extra cash. But industry watchers say that will do little to solve Sears’ main problem: Rivals have been able to lure customers away from the chain because of its drab stores and unexciting merchandise. As part of a plan to turnaround the company, Sears Holdings Corp., based in Hoffman Estates, Ill., said on Thursday that it will spin off of its smaller Hometown and Outlet stores as well as some hardware stores in a deal expected to raise $400 million to $500 million. Flooded West Pittston Business Reopens Temporarily. Editor’s note: Another reminder that for many NEPA residents and small business owners, life has not returned to normal after the September 2011 flooding! WEST PITTSTON, Pa. – In September Kimberly Burnham’s business, Miss Kim’s Coffee 2 Go, lay on its side, lapped by Susquehanna River floodwaters. An entanglement with a power line attached to a nearby business is the only thing that kept it from being swept down river. This week Burnham reopened her business, located at 200 Wyoming Avenue, and customers – both old and new – were eager to get their fill of caffeine and pastries. But her stay will be temporary. She has been notified the rented lot her business is located on will be leased to another tenant and she’ll be forced to find a new location. Editor’s note: The Scranton School District serves over 9,000 students! Negotiations will continue this morning between the Scranton teachers union and the school district, but a strike is still scheduled for Monday. After a full day of negotiations on Friday, the union president said she was “disappointed” by the lack of movement from the district. The union made a “huge concession” for the first year of the contract, and for the second and third years, gave district negotiators an option “we thought they could deal with,” Ms. Boland said. An artist who canceled out a previous show at Musikfest is getting a second chance at the festival. Sheryl Crow, who had the hits “Leaving Las Vegas,” “All I Want to Do,” “Strong Enough” and “If It Makes You Happy,” but canceled a sold-out Musikfest show at the last moment in 2001, will play at the festival’s main Steel Stage at 8:30 p.m. Aug. 10, it was announced Friday. Tickets, at $30 and $40, go on sale to ArtsQuest members at 10 a.m. Feb. 28 and to the public at 10 a.m. March 2 at http://www.musikfest.org or by calling 610-332-3378. Carpenter Technology Corp. announced Friday that it has purchased the former Dana Corp. industrial site for about $6 million. The Spring Township-specialty steel and alloy maker bought the 50-acre industrial property where General Motors vehicle frames were once produced from Reading Industrial Investments Corp., Ambler, Montgomery County. What Carpenter got in the deal is about 40 acres of land and an additional area where four buildings are located, at West Robeson and Weiser streets, adjacent to Carpenter’s East Shore property.